Despite being a fairly popular character in the age of superhero movies, the success of the Deadpool in 2016 came as a shock to just about everyone. Of course, this success in Hollywood means a sequel with a bigger budget and a ton of freedom. And despite losing the director from the first film to the second, one piece remains constant, Ryan Reynolds, that almost guarantees a fun film to some degree. 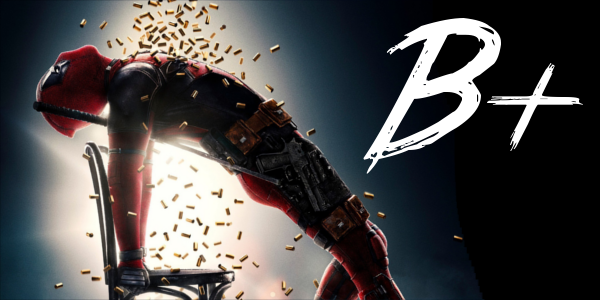 Wisecracking mercenary Deadpool (Ryan Reynolds) joins forces with three mutants -- Bedlam, Shatterstar and Domino (Terry Crews, Lewis Tan, & Zazie Beetz) -- to protect a boy from the all-powerful Cable (Josh Brolin). The bigger budget is definitely reflected in the places the story chooses to go this time around. While the first was fairly simple from start to finish, the sequel definitely goes over the top in many aspects. However, it does seem like the most logical progression for the character from the first film, driving him to strive for his own version of heroism rather than swearing it off entirely. And as long as the story provides ample opportunity for comedy in absurd situations or scenarios like Deadpool 2 does, you can’t really complain too much. It helps as well that the franchise features such a strong linchpin in Ryan Reynolds as the lead. Easily one of the best castings of recent memory, he embodies all the things that make Deadpool fun and runs with them. Reynolds has become so tied to the character that he has joined comic book movie royalty like Hugh Jackman and Robert Downey Jr. in just two films. Of course, other returning characters like Colossus and Dopinder, with Stefan Kapicic & Karan Soni reprising their roles, get small moments to shine, even if Brianna Hildebrand as Negasonic Teenage Warhead feels very wasted this time around. The new characters shine above all else though. Brolin nails his second comic book movie role of 2018 with a Cable that, while not comic accurate in looks, brings the right presence and attitude towards the time traveling mutant. Despite this, however, Domino emerges as the character that shows the most potential moving forward. 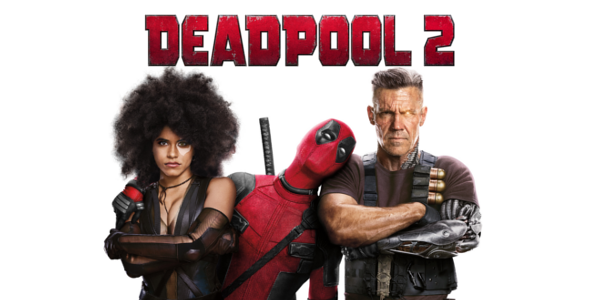 Brought to life by the wonderful Zazie Beetz, the new hero is charming and incredibly fun to watch, stealing a majority of her scenes (well as much as humanly possible with Deadpool on the screen). Overall, Deadpool 2 manages to still be a breath of fresh air despite being a sequel to a film that was THE breath of fresh air for comic book movies. It is a great palette cleanser after the large scope and drama of Avengers: Infinity War, and though it is bigger itself than its predecessor, delivers a film that is fun, exciting, and generally a crowd pleaser. Deadpool as a character is still as enjoyable as ever, and even still the newcomers give the Merc with a Mouth a run for his money at times in terms of great moments. The film doesn’t do quite enough to surpass the original, but it gets mighty close and that’s an accomplishment in and of itself.